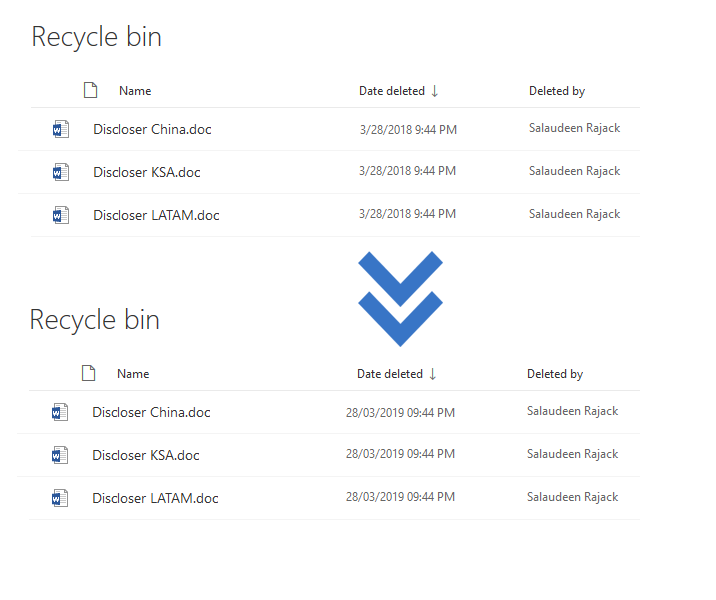 Home Client Side Object Model (CSOM) PowerShell SharePoint Online Site Settings SharePoint Online: How to Change Date Format to "DD/MM/YYYY"? Requirement: Change Date format to "DD/MM/YYYY" in SharePoint Online. How to Set Date Format in SharePoint Online? 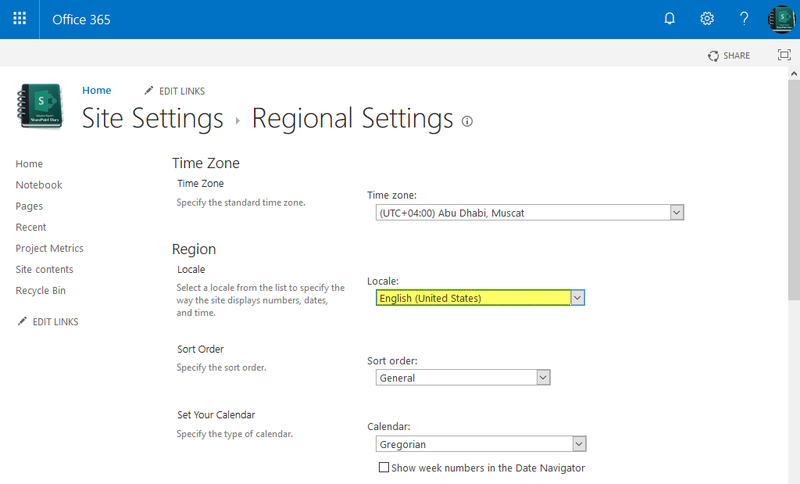 In Site settings page, Under Site Administration, click on "Regional settings" link. This changes the date format everywhere in the site. E.g. List, Columns including Created/Modified, Recycle bin, etc. Pretty simple, huh? Well, The pain part is regional settings should be configured for each site (subsite)! Changing regional settings in the top level site doesn't automatically propagate the change in its subsites. Any new subsite you create will inherit the Regional Settings from its parent site! We can set the locale for all site sites in SharePoint Online - tenant wide using below PowerShell script. This script simply loops through all sites and changes the default locale. Just set $AdminSiteURL and $LocaleID variables in the script and provide the credentials to connect to SharePoint Online Admin center once.